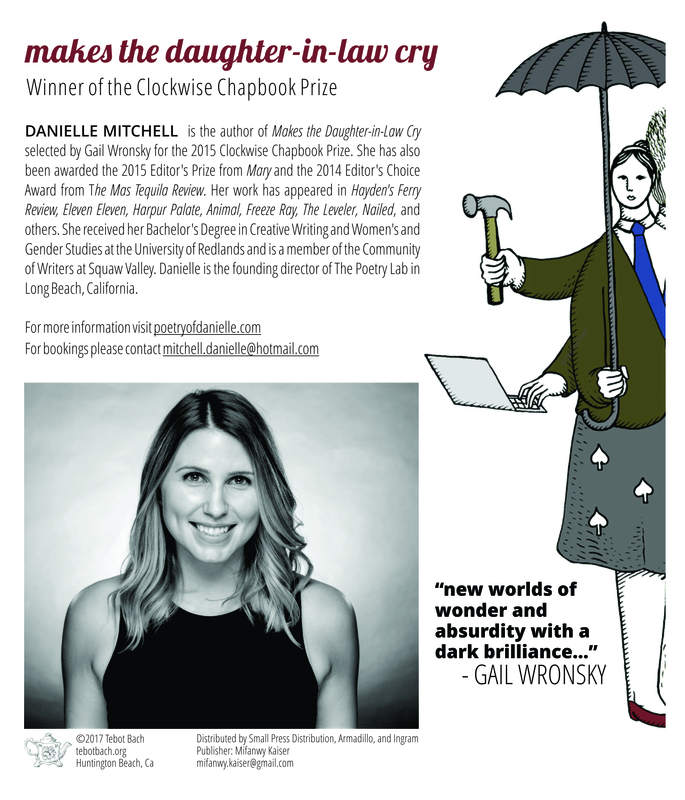 Danielle Mitchell is the author of Makes the Daughter-in-Law Cry (Tebot Bach 2017), selected by Gail Wronsky for the 2015 Clockwise Chapbook Prize. She is the recipient of the 2015 Editor’s Prize from Mary and the 2014 Editor’s Choice Award from The Mas Tequila Review. Her work has appeared in Hayden’s Ferry Review, Eleven Eleven, New Orleans Review, Harpur Palate, Nailed and others. She received her Bachelor’s Degree in Creative Writing and Women’s and Gender Studies at the University of Redlands. 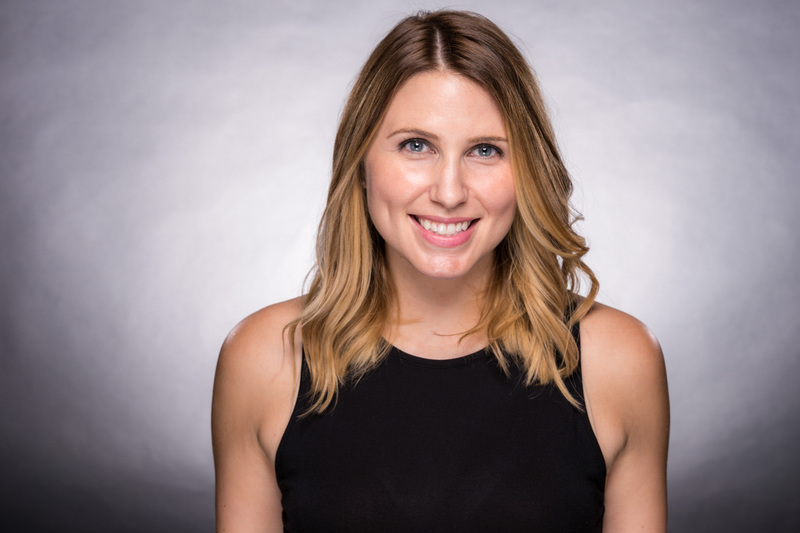 Danielle is a member of the Community of Writers at Squaw Valley and the founding director of The Poetry Lab in Long Beach, California.